This is the fifth CD by The Aardvark Jazz Orchestra on Leo Records. 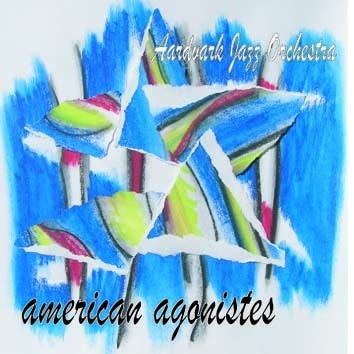 American Agonistes is a testimony to the fact that the Aardvark Jazz Orchestra goes from strength to strength. The conductor and composer Mark Harvey writes: "Agonistes comes from the Greek word 'agon' and conveys a sense of contest, struggle, even painful experience. American Agonistes is about the struggle for the soul of our constitutional democracy amid world tension and conflict; and it stands within the long tradition of music addressing larger social and political issues."